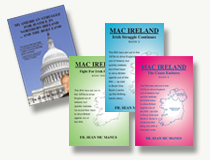 “As Tip O’Neill once remarked, England continues to use Ireland, North, and South, as a political football. Prime Minister Theresa May returns to Downing Street, as Conservative MPs finished holding their vote of confidence in her leadership. Her premiership was always on borrowed time, more of a coronation than a popular appointment, Theresa May’s decision to call a disastrous snap election weakened her further. Handcuffed to the DUP for survival, she lost the support of the Northern Ireland MPs quite early on in the confidence and supply deal, never strong, never stable, always built on foundations of sand. As of last night, she was still holding onto power, although maintaining an iron will she does not have an iron grip on either her party or the Brexit negotiations. The fact 117 of her MPs voted against her in the no-confidence ballot will have stung, mitigated by the 200 MPs who backed her – while meaning no more leadership challenges for at least another year – that does not spell the end of Mrs. May’s problems. The Brexiters have failed to remove her, but they have almost certainly killed the Withdrawal Agreement, at least in its present form. The ERG will continue to fight Mrs. May every step of the way, the theory being they’re simply running the clock down until a forced crash out of Europe. They do not have the support they claimed to have, but then neither does the prime minister. There is no majority for the Withdrawal deal, no majority for WTO crash out, no majority for a second referendum, no majority for a general election or to cancel Brexit altogether. The people are divided, the government is divided. Theresa May is the Teflon prime minister who has shown a remarkable and at times stubborn resilience. That has saved her thus far but has already agreed that Brexit on the Prime Minister’s controversial political career.